As Google Partners, over the years we have learnt that the most important element when starting your PPC (pay-per-click) journey, is knowing where you are going. By establishing Adwords goals for your advertising budget, allows to stay focused and ensures you get the results you are looking for. So, if you want to generate brand awareness for a local event, you need to focus your efforts on that goal. There is no need to delve into detail into AdWords shopping campaigns and many other features which would be of no use to you. What’s more, if you are marketing an E-commerce website, a restaurant or maybe a bicycle shop your goals and objectives will be different. When answering this question, be realistic with yourself. Use the SMART criteria if you must. 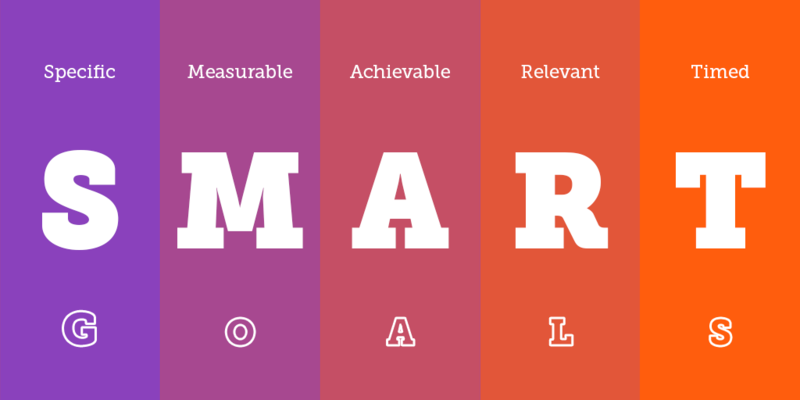 Here S stands for smart; M for measurable; A for achievable; R for relevant and T for Timed. Majority of businesses fall into one of the following 4 goal categories or a combination of several. We will cover which they are and what metrics you should be monitoring and potentially optimising to boost your performance. Businesses that rely on online quotes, contact forms, increase sales of a new product line would normally choose to direct users to their website pages. Do you want to increase sales of a product or service? Then this goal is probably for you. Ads with high CTR – click-through-rate. Pro tip: Ensure your destination URLs – the pages that you direct customers to are relevant and that you have set up conversion tracking. Do you want more people to know about your brand and why you are unique? Do you want to increase awareness and engagement for your products or services? If yes, then this goal is ideal for you. You will achieve this by exposing your ads to as many people as possible. Therefore, Search Network and Display Network are great places to start with. Reach and Frequency or “days to conversion” in new AdWords’ UI. This goal might be for you if you want to achieve a positive ROI of your marketing budget and already have a good amount of online sales. For example, revenue is £1600, cost of goods sold is £400 and your AdWords cost is £200. Your ROI would be: (£1600 – £600) / £600 = £600/ £1000 = 60%. Establishing AdWords goals first would give you a solid foundation for your campaign that you can build upon.